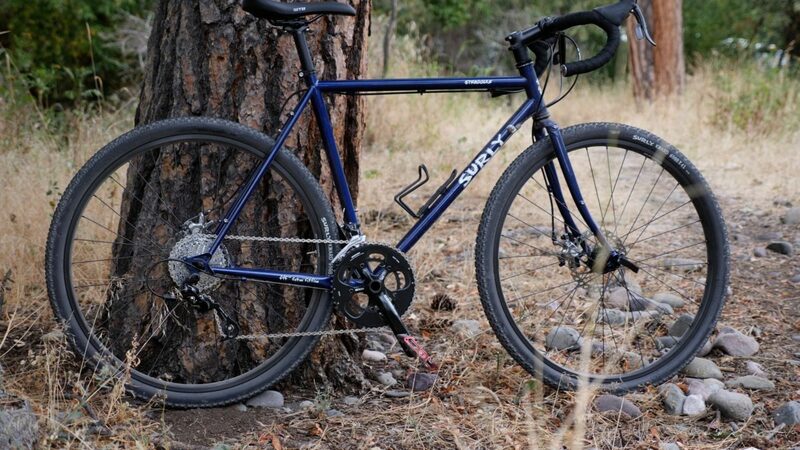 The Surly Straggler is one of the most popular bikes in the Surly line. Based on the classic Cross Check, it is a versatile and fun bike that can be used for lots of different kinds of riding. In this vid, I FINALLY try one out and give you my thoughts on it. Hi and thank you for all the vids, despite my bad english i learn a lot watching them. I want to buy my first touring bike, coming from trail running and light backpacking i plan to travel light (using frame, seat and handlebar bags) climbing mountain roads on the french pyrenees and also doing the canal du midi path/road. 1- do you think this bike would be a good choice for what i plan ? 2- i will buy fork and frame and build the bike with a MTB like group (stx or xtr 3×10 or 11) to climb “easily” even with weight on the bike, this bike is a goog choise for this project ? 3- i am 171 cm height, how height are you, and what about the size 50 you tested (not 52 as i heard) for you, what size do you think i would need ?